Quick Off The Mark® Trademarks provides trademark services throughout Australia and Internationally. If you need practical trademark advice, not academic answers, Quick Off The Mark’s sound knowledge can offer businesses the best trademark advice along with the best customer experience in Australia, with the lowest fixed fees. Why don’t you get to know us a little? You can contact us at any time to discuss your trademark matters. Quick Off the Mark is a division of Mark My Words Trademark Services Pty Ltd (MMW). 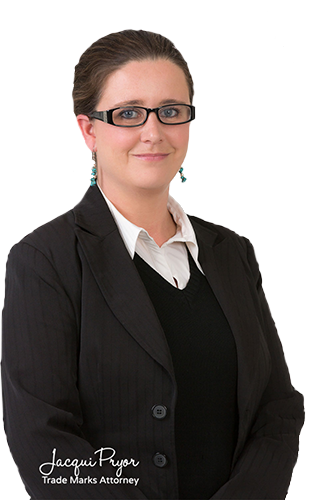 MMW was founded in 2011 and is headed by Jacqui Pryor, a registered trade marks attorney with more than 16 years experience. We were thrilled when Wayne and his team’s Fast Tracked the implementation of the application which resulted in a reduction of 6 months in time wastage. The team’s effort was beyond our expectations in terms of cost savings and the speed with which we accomplished our goal. With their help and advice, we not only had a successful and on-time registration outcome but, we were also able to avoid substantially higher costs by focusing on the essential categories for our trademark protection with IP Australia and by avoiding unnecessary, very high fees to be paid to potentially rogue registration companies from eastern Europe. We would like to thank you for all that your team has done with this process. It has been extremely seamless and painless on our end as your team has taken care of everything and your communication through every step has been amazing. I will be very happy to refer you to my contacts that may need your services. Thank you so much Quick Off the Mark for the outstanding service you've provided to me from the first phone call till we wrap up the entire process including producing a comprehensive Licensee Agreement! I truly value your openness in communicating with me and your patience in educating me in the process. I've learned so much from you. You've made the entire process so seamless because of how easy it was for us to work together. And yes! You truly are FIRST in your customer service! You will be the first in my mind when anyone needs legal assistance in the IP and Trademark registration space. Thank you once again for taking away the pain from me and putting me in a happy place.